Theoretically, we’re all capable of lucid dreaming. A good portion of us have even experienced it spontaneously, but most people never give it much thought beyond “well, that was weird”. The reason it’s not widely discussed is fairly simple. From birth we’re commonly taught to ignore our dreams. The tradition likely evolved from the need to teach children that dreams aren’t to be confused with “real life”, and especially to combat the impact of nightmares. This perspective tends to needlessly stick around for life, long after we’ve learned the difference between dreams and waking states. The truth is that ignoring dreams is like looking a gift horse in the mouth. As any psychoanalyst will tell you, information gained from dreams can be invaluable. So, you may be asking, what can we do to gain access to the possibilities offered by lucid dreams? You’ll be happy to know that it’s a scientifically verified learnable skill (Stumbrys et al., 2012). There are several techniques that have been proven to be effective at inducing dream lucidity and we’ll be discussing three of the best. 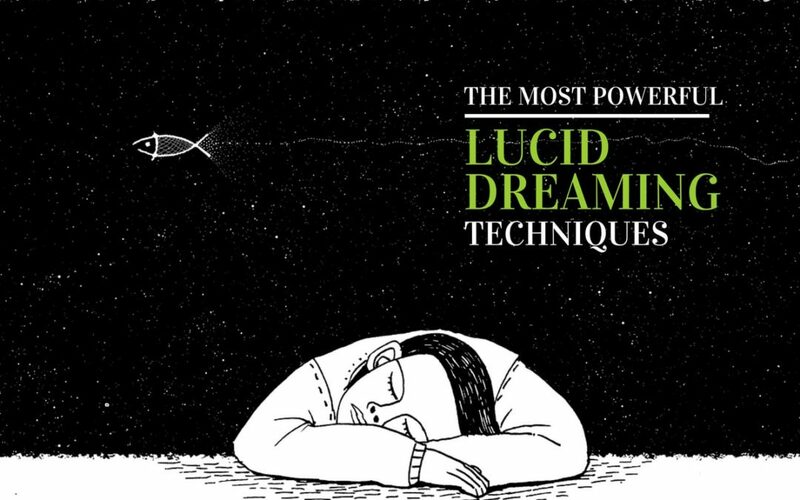 Keep in mind that, as previously mentioned, some lucky folks have a tendency to become lucid in dreams without actually trying (this is called dream-induced lucid dreaming, or DILD) but most will need to put in a lot of practice. It’s important to not get discouraged if you don’t seem to be making any progress. A breakthrough can happen at any time! Mnemonic-induced lucid dreaming (MILD) is one of the most popular forms of lucid dream induction. As an adjective, mnemonic refers to something that helps us retain a memory. MILD generally involves mentally rehearsing the act of dreaming and becoming lucid. This creates what is called a mnemonic device. It teaches us to recognize the “unreal” nature of dreaming, and lucidity is triggered as a result. There are many variations of MILD that emphasize different aspects of the process and employ different mnemonic devices, but all are based on rehearsal and within-dream recall. This technique is best practiced immediately before falling asleep, though training can also be undertaken at any time of day when in an appropriate environment (for example, not while driving). MILD appears to be most effective for people who sleep typical overnight hours if it is practiced in the early morning before going back to bed for a nap after 30 to 120 minutes of being awake. As you may have guessed, WILD stands for wake-induced lucid dreaming. Like MILD, there are many versions of the WILD method. The common thread between these techniques is the retention of conscious awareness between wakefulness and dreaming. This task can be extremely challenging but equally rewarding as it allows us to observe the transitional state between wakefulness and sleep (the hypnagogic state) while potentially optimizing the amount of “real” time spent in a lucid dream state. The difficulty is comparable to meditation, and engaging in meditative practices like mindfulness in day-to-day life may help the process. WILD is also similar to MILD in that it can be effective when used after a period of wakefulness. However, unlike mnemonic techniques, it can also prove useful when returning to sleep immediately after waking from a dream. This is likely due to the fact that WILD focuses on maintaining conscious continuity between states while MILD experiences are engaged within the dream state alone. A psychologist named Paul Tholey developed a lucid-dream induction technique that combines three core components: reflection, intention and autosuggestion. Each approach can be used individually to improve lucid dreaming skills, but by approaching the process from multiple angles the Combined Technique is designed to tune one’s overall mindset to become receptive to lucid dreaming. Reflection is also referred to as reality testing. It’s fairly straight forward. All we need to do is regularly ask ourselves “am I dreaming?” Each person can develop their own testing scheme based on what features of dreams they find are most unlike waking observations in their personal experiences (reading, textures, colors, etc.). As reflection becomes a daily habit we are more likely to repeat it during dreams, thereby inducing lucidity when the signs are recognized. The intention component is like a condensed version of MILD. Instead of regularly practicing during waking life to build a long-term memory of gaining lucidity during dreams, intention relies on short-term concentration immediately before falling asleep. Intention is perhaps more closely related to reflection because it is meant to help us identify signs instead of triggering a specific memory. Autosuggestion is exactly as it sounds; planting the idea in our own mind that we will become lucid during dreams. This method is very similar to intention but also has a waking practice component like MILD. Unlike the latter, autosuggestion isn’t meant to form a memory but instead to embed within us the notion that we can and will become lucid within dreams. MILD, WILD and Tholey’s Combined Technique are just three of many options that aspiring lucid dreamers should explore. While they are three of the most widely tested and recommended techniques, they are by no means exclusive when it comes to documented success. 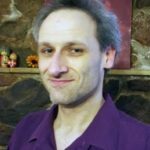 The human mind is simply too unique on an individual basis to say that any one lucid dream induction method is right for a particular person, but these are a definitely good starting point. Systematic review of evidence. Consciousness and Cognition (21), 1456-1475.